We partnered with Miele to show you how to plan and execute a Genius night in for six to eight friends. Follow along as we prepare a three-course menu on a Miele range and share tips for perfect ambiance. Here's to an evening that's a little less kitchen-heavy and a little more wine-and-dine. See below for links to parts one and two! 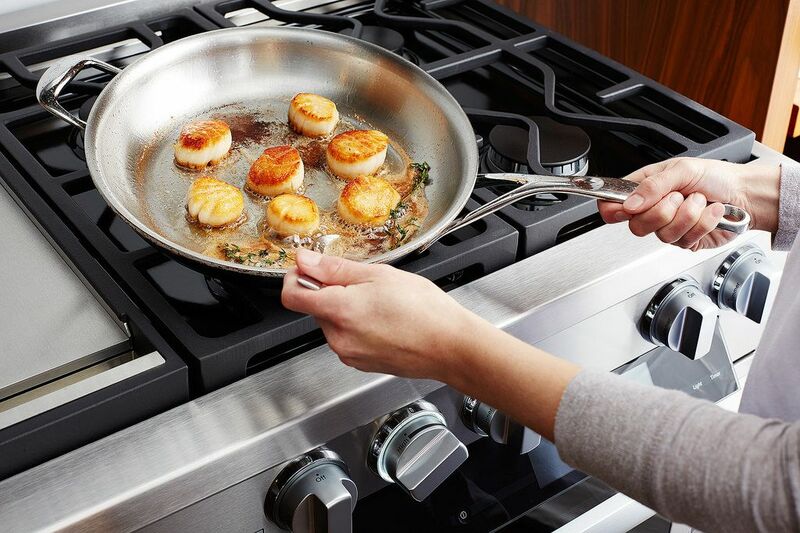 Today: Easy, flawless scallops and finishing touches before the guests arrive. The day of a dinner party always feels like a race against the clock—but you're ahead of the game. 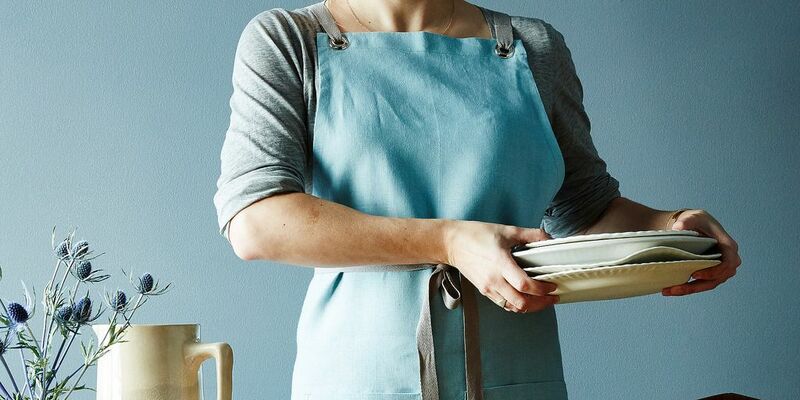 You've prepped two recipes—broccoli cooked forever and no-knead pizza dough—in advance of the gathering and you've already decided on music, decor, and the tabletop (look at you, so organized!). This is the last installment of our three-part plan for your next dinner party—so here's how to pull it all together. If you're just jumping in, you can review parts one and two for the beginning of our timeline and more dinner party tips. About an hour and half before starting time, grab the pizza dough from the fridge and preheat your oven with a pizza stone inside. Prep your ingredients before assembling the pie—it all happens really fast when your pizza stone is heated through. (If not using your broccoli as the pizza topping, you can spoon it into a bowl right before people arrive, and maybe have some crusty bread on hand to go with it). Scallops are one of our dinner party go-tos—they require very little preparation for a showstopping plated dish. 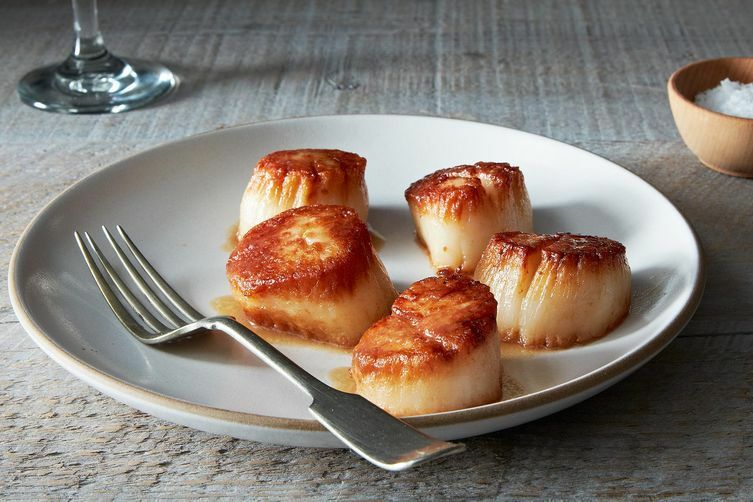 Tom Colicchio's version, one of our Genius Recipes, pan-roasts the scallop muscles with vegetables and stock and then the scallops themselves are quickly seared on both sides for healthy caramelization. More: You can always let us know if there are questions along the way—we're there at every step as you plan and orchestrate each course. It's the little things that stand out to people when in your home, and that they'll take with them when they leave. 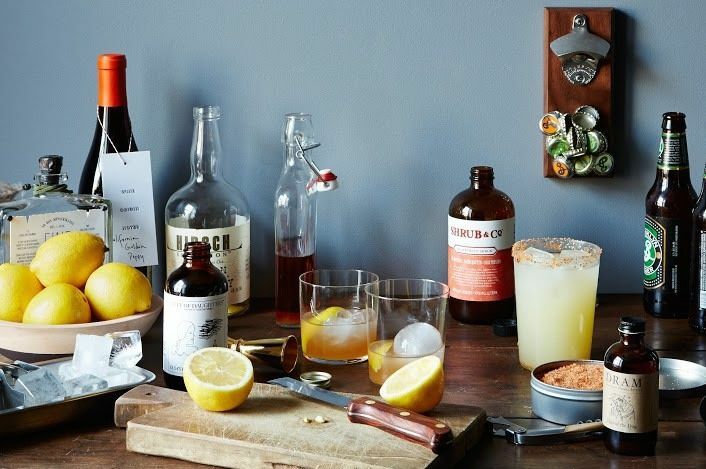 When the table is set, here are a couple of easy, last-minute touches that will make your party memorable. First bites are a great way to set the evening's tone. Put out tasty nuts or cheese for pre-dinner snacks and your guests will be excited for what's to come. If you are serving family style, try to situate dishes within an arm's length of any guest—even if that means splitting up a larger portion into bowls or platters. A stocked bar offers everyone something they're comfortable with—and we even like to have a non-alcoholic option, like this watermelon refresher, on hand. Once your dishes are served—and the oven is turned off—don't hide in the kitchen. It's time to kick back and enjoy who you've brought together over good food and conversation. Now off you go to plan your first (or fiftieth) party—and remember, the best dinners are when food is being shared, there's plenty to drink, and the host is having a blast. 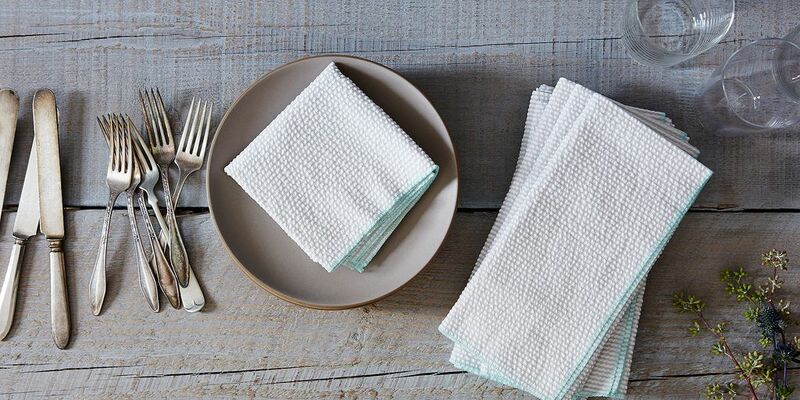 What are your favorite simple, reliable dinner party dishes? Tell us in the comments below! Our love for Miele started with Amanda's kitchen—where her Miele dishwasher got us through our first 3 years of photo shoots! 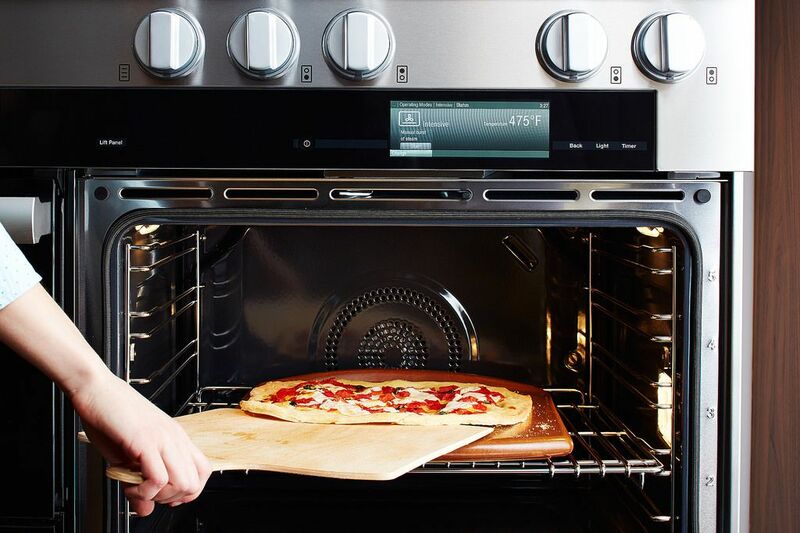 Learn more about how to update yours, from the dishwasher to the range. "EVEN like to have a nonalcoholic option"??? Wine is great. But lots of people choose not to use alcohol, for religious or health reasons. And even wine drinkers don't need to drink all the time! Neglecting to offer a nonalcoholic beverage (a nice one, please, not a cola) is bad manners and bad health! Plus, this is another area (as your recipe link shows) for exercising creativity. Gracious hospitality requires this option. Based on the phrasing, I believe they meant they "even like to have a nonalcoholic option" of a special cocktail-style drink. For example, a nonalcoholic punch which would feel more special than, say, a diet Pepsi or a selection of sparkling waters. So, I think you and Food52 are in agreement! Summer time: for starters figs with Gruyere either in the oven or grill if you're grilling anything else with Marcona almonds which definitely need a touch of Rosemary, grilled fish and a huge hearty salad or once again since you're grilling veggies! Fish can be served room temp and so can the veggies. While your grilling this summer put some stone fruit on and serve with ice cream for dessert. And guess what you can sit back relax and enjoy your guests! That's my idea of a wonderful dinner party, big or small. Cooler weather: big pot of stew with lots of veggies you've got it covered with some crunchy sourdough bread. Apple crumble and ice cream. Done! Please polish your silver. Not only is it unsightly, but the tarnish adds a sulphur-like flavor to whatever you're eating. If the food is that important to you, I suggest you take the time to polish as you wash.
Yikes! Mumbo jumbo! What happened to the text? Text is fixed and coming through clearly now. Thanks.